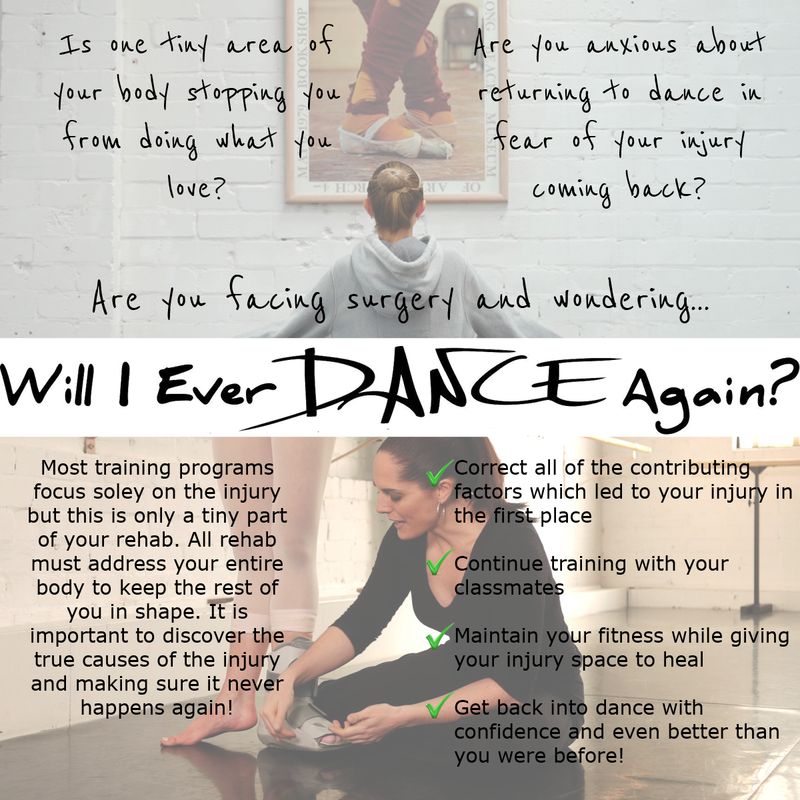 Most dancers will utter the words “Will I Ever Dance Again?” at least once during their career… It’s often the first thought when you go over on your ankle, when you crumple to the floor with excruciating pain in your knee, or when the doctor tells you that you need to have an operation. And many dancers don’t ever dance again. Not because they can’t, but because they lose so much condition while being out due to injury, that their return to dance is plagued with even more injury, and it all becomes just too hard. Giving up what you love, what you live for, or what you feel you were born to do is something that no one should ever have to face. But what if there was another alternative..? So many of the questions that we receive through The Ballet Blog are about how to correctly rehabilitate specific dance injuries, or how to get back to dancing fully after a break. This unique DVD set answers all of the questions a dancer struggles with during this period, including the moments of self doubt, dispair, and depression that can negatively impact your recovery. The program helps you not only rehabilitate your injury, but maintain and even improve condition in the rest of your body during the process! Shayarne Mattheson was dancing at an international dance school, when in her normal Monday morning classical class she came down on her foot wrong and heard an horrendous 'snap'. She was certain that her foot was broken but when an x-ray ruled this out, it was diagnosed as a sprain. 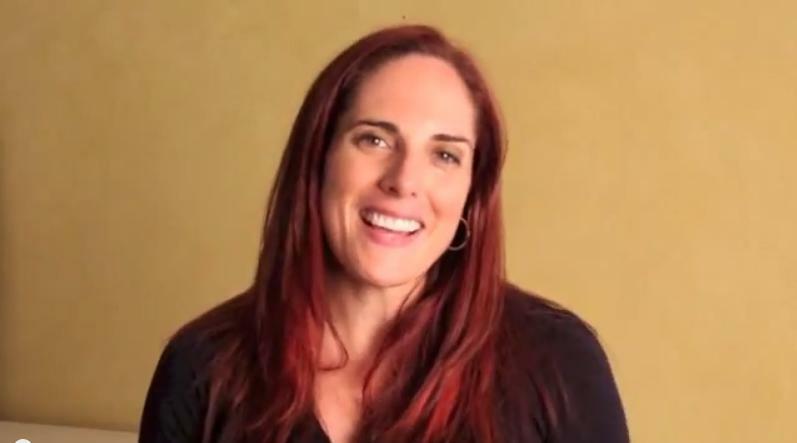 When she did not improve at all over the next 3 weeks she was sent home to Australia, where she began working with Lisa Howell. Her intensive rehab program included time in an orthopaedic boot and a training regime that not only got her back dancing quickly, but had her dancing with more flexibility and control than ever. This program is all about getting you back into class as soon as possible. Not necessarily to do a full class, but to do a modified class depending on your injury. We mainly focus on foot injuries, but the program can be modified for hip knee and back injuries. It is ideal for Dance Teachers who want to be able to help their students more when returning from an injury. 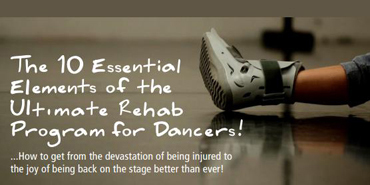 It can also be of benefit to Health Professionals who know a lot about rehabilitation, but not a lot about dance. Will I Ever Dance Again Now Available! 1. Access the program completely online - save shipping and things getting lost in the post! This gives you instant access to the members area which has all of the videos included in the DVDs + lots of additional information. 2. Hard Copy Discs - This beautifully presented double DVD set includes two additional booklets to help keep you on track and of course you will also get all the online access to the member's area as well. As a very special launch offer we're also giving you both Dance Conditioning 2 and Ball Conditioning For Dancer's EBooks valued at $20 each completely FREE! These books have a lot of additional exercises that you can do to supplement the program and really make your time off as valuable as possible! This gorgeous double DVD set helps you to train, strengthen and develop the rest of your body while you take the time off to heal a foot injury or recover from surgery. 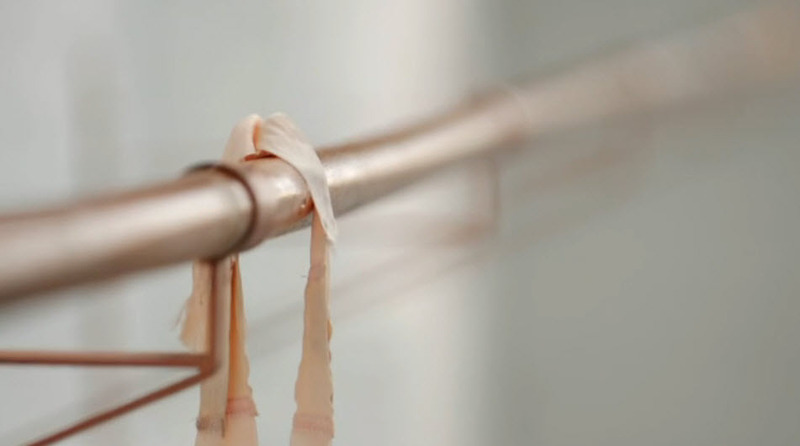 This allows you to not only heal the injury but to improve your technique in all other areas during the process. You will also receive 2 booklets including the "Top 10 Essential Elements of the Ultimate Rehab Program for Dancers" and an Affirmations booklet with quotes to inspire you through times of need! You will also be given full access to an online members area with extra information including tips on structuring your daily rehab program, cardio training, and modification for many different injuries. Save on postage and get the program completely online! The online version gives you access to an extensive online members area which includes all of the video that is on the DVDs in an easy to access online portal. Exercises are given for each stage of class, so that you can still participate in class, and keep focused on your dreams! There is further information including tips on structuring your daily rehab program, cardio training, and modification for many different injuries. There are so many elements that go into ensuring your sucess with the rehabilitation of any injury, so we have compiled a booklet to help you keep on top of all of them. Stunningly illustrated and.designed to supplement the information in the DVD's, this booklet will help ensure that your total rehab plan is as complete as possible. 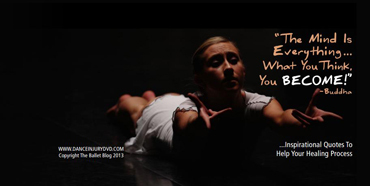 The Psycological impact of an injury can be the hardest to deal with and many dancers wonder... "Will I Ever Dance Again?" If you are feeling down, unsure or just in need of a little help this pocket sized inspirational booklet will help you through the toughest days. Many, many people have paved the way before you, and learning from their wisdom can help keep your spirits up, which is an essential part of your healing. PLUS! Instant Access To Everything Online! We have created a unique Members are to give everyone who purchases the program immediate access to all of the content, carefully organised into sections so that it is easy to find. This means that you can get started immediately instead of waiting for your package to arrive. With over 4 hours of video, plus lots of bonus content in the Members Area, you will learn more through this program than you ever imagined! A floor barre is extremely useful for all dancers, not just those who are injured, but it constantly amazes me how few people know how to do it effectively! It is a wonderful way to strengthen the core and hip control in a very challenging way, and this section should be done by all dancers at least once a week. A floor barre is wonderful for any dancer who is not allowed to put weight through their foot, and variations for different injuries are given, but please always review with your therapist before attempting any exercises in this section. 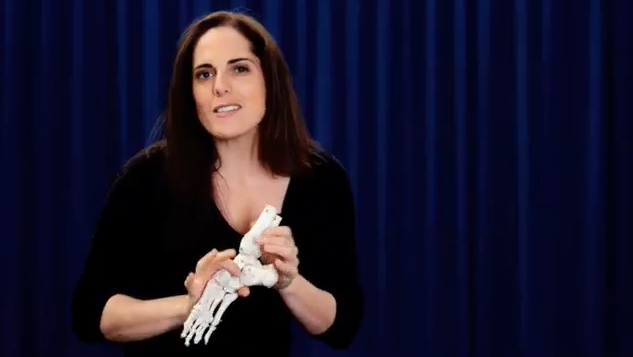 Some injuries may require you to be in an orthopaedic boot for a period of time. The thought of this terrifies many dancers, but it can be a wonderful rehab tool. Depending on the type of injury, and the stage of healing, you may be able to walk in your boot before too long. As the boot holds the injury in place, this can allow you to work at the barre for some exercises. Again, please check with your therapist if this is appropriate for you before trying any of these exercises. Once you have worked through a floor barre, and your injury is healing, you may be allowed to return to a "flat barre". The requirements for this are different depending on your injury, but may include no rises or relieve and no fondu, or you may be allowed to rise on two legs, but not on one. There are several other guidelines to help you rebuild your strength before doing a full barre that can actually improve your technique during the rehab process. A beautiful Port de Bras is essential at the higher levels of classical training, but often does not get the focus of attention in training that it deserves. The exercises demonstrated in this section will help you develop a strong and stable core, to allow fluid mobility of the upper body and allow the expression of emotion through the upper body. The exercises are done in a seated position so are suitable for dancers with any type of foot injury. The exercises in this section are designed to help you master all of the individual elements involved in adage to improve your work en l'air without loading your injured foot at all. It is often surprising to see how many dancers struggle with this initially, but with regular practice it is even more amazing how much their adage improves! This is an amazing adjuct to any dancers program and should be practiced by all dancers at least once per week. Not being able to jump is very frustrating for many dancers, causing them to return to allegro too quickly, risking re-injury. This section of the DVD demonstrates exercises that can be used to maintain your strength, and actually improve your technique and alignment in your jumps. There is also a staged progression of how to move from non-weightbearing back to jumping while maintaining good alignment. Turning is a challenge for many dancers, and especially if you have the fear of re-injuring your foot. The exercises in this section help improve your core, turnout, balance and endurance in order to move back into this section of class easily once the injury has healed. This section includes one of my favourite high level retraining exercises "Preparation for Pirouette" which sound deceptively simple, but challenges every facet of your technique and helps improve turns in attitude. No two injuries are the same, and it is essential to modify the program based on what particular injury you have. For instance, the recovery from a stress fracture will be different to that from surgery to remove an Os Trigonum, so it essential to work with your therapist to make the rehabilitation as effective for you as possible. In the Online Members Area we give examples of modifications for all kinds of different foot and ankle injuries, as well as variations for Hip, Knee and Back pain. I have just had an operation on my foot. Is this program ok to use for my rehab? Yes! Obviously, depending on the type of surgery that you have had, the program will need to be modified to suit you, however I have used this program to rehabilitate dancers recovering from Anterior Impingement, Os Trigonum removal, Achilles Tendon ruptures, Sessamioditis, Bunion surgery, removal of an accessory navicular and more! Please always follow the guidance of your surgeon and treating therapist, and check out the details of modifications for each type of injury in the Online Members Area. My Physio does not know much about dancing... What do i do?! I keep having to take time off because I get Stress Fractures every time I start jumping :( Will this program help? Many people struggle with recurrent stress fractures as they do not correct all of the contributing factors during their rehab process. This program not only allows you to work in a non weight bearing position initially, but includes a set of gradually increasing exercises to challenge your alignment and control. This allows you to correct your technique and avoid overloading the same area again when you return to dancing. I don't actually have an injury, but this sounds interesting. Is is good for non-injured dancers too? This program is perfect for any pre-professional or professional dancer to work through at least once a week to supplement their normal class training. It helps you identify areas of weakness that you may be masking in class, and takes your training to a new level by improving all of the components of each exercise, rather than just practicing the exercise over and over again.